Pacific Metal Company - Building long-term profitable partnerships. Build long-term profitable partnerships with stakeholders offering integrity, flexibility, responsiveness and quality. 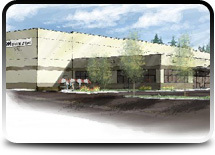 Since 1876 Pacific Metal Company has strived to put the customer first. 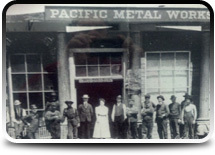 Since 1876 Pacific Metal Company has strived to put the customer first. At Pacific Metal we have found that solid relationships and a strong commitment to quality and service are the backbone of good business. From a deep and diverse Standard Stock List to customer specific inventories, customized JIT programs, and pre-production processing Pacific Metal has worked hard to form mutually profitable business partnerships with all of its customers. The Products listing represents our Standard stocking list. If you require a metal, alloy, configuration or size that is not listed do not hesitate to call the sales office nearest you and ASK! In September of 2002, Pacific Metal Company became a wholly owned subsidiary of Reliance Steel & Aluminum Co. Reliance (NYSE:RS) is one of the largest metals service center companies in the United States. Through a network of over over 220 locations in 38 states and nine countries; over 100,000 products and more than 125,000 customers. These products include galvanized, hot-rolled and cold-finished steel, stainless steel, aluminum, brass, copper, titanium and alloy steel sold to more than 85,000 customers in a broad range of industries. Pacific Metal Company is an Equal Opportunity Employer. And the terms of Office of Federal Contract Compliance Regulation. Title 41, Part 60-1.4(a), Subparagraphs 1 through 7, are incorporated in this transaction by reference. Hazard Warnings: Some products may be harmful if mist, fumes, or dust are inhaled, swallowed, or absorbed through the skin. For further information refer to Material Safety Data Sheets, obtainable through our sale office.